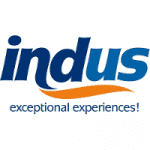 Indus Travels is devoted to bringing the best in both quality and value to custom tours to India, Nepal, Sri Lanka, Maldives, Turkey, Egypt, Jordan and Dubai. Our company concentrates on designing tours that introduce travelers to the amazing complexity of culture and environment. We strive to offer these tours at unbeatable prices and with unparalleled comfort. While most tour operators specialize in packaged group tours, our itineraries cater to travelers looking for a highly personalized, flexible travel experience. Most of our tours are private and can be customized to your client's interests, so they can spend as long as they like at sights and places they want to visit. Our formula is simple and effective. We design a travel experience that is tailored to their needs and interests, with maximum freedom to discover the exotic destinations they choose at the lowest price conceivable. Thank you for your email. As we explained earlier we did not increase the cost of your tour but corrected an error on your invoice. We reviewed all the email communication between yourself and our staff prior to and post booking the tour. As we explained after you requested clarification the BOGO cost was 3299 USD ex Chicago which worked out to 1649 USD per person. we have sent you email communication which we had with listing this clearly and you acknowledged this email. It is very rare that our accounting team finds a glitch but when it does we must rectify it immediately which is why we brought it to your attention. You may not have noticed that you had not paid 1649 USD per person and as such thought you were paid in full but as per the email exchange you were aware that the cost of the tour was 3299 USD for two or 1649 USD per person. We simply wish for you to pay the balance owing so that we can provide you with the final documents so that we can send you to Australia. We appreciate your understanding.